The Advanosys team has supported clients of virtually type and size possible throughout the United States. From the most secured federal facilities to large retail, biotechnology and medical facilities, universities and K-12 entities, to the standard businesses found on every main street; residential clients from the largest estate and historic properties to multi-family condo and single-family homes. With this level of hands on experience, we’ve gained substantial expertise to assist in supporting our clients’ unique security, automation, life safety and disaster prevention needs. For the Biotechnology, Medical and Pharmaceutical Industries we have substantial hands-on experience. As with most market types, there are very unique aspects of this sector. Understanding the high-security requirements of the medical/research/manufacturing and laboratory-based needs, brings its own level of unique solution. Our team has provided complete solutions for facilities that include the highest levels of containment facilities, including BSL-4 level. This expertise also includes large-scale repository facilities where -80° freezer units and highly-specialized containment’s require secured access as well as the most stringent level of certified status, temperature and power monitoring. 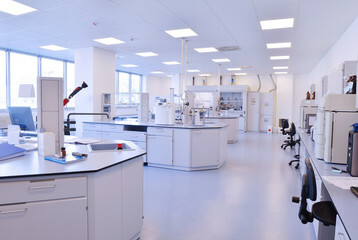 From the needs of the average pharmacy, to secured research facility, to the most secured research facility’s special needs, we have the unique solutions to meet our clients’ requirements.